The Kendra Gale Band, based out of Southern New Brunswick, have been kicking and screaming their way around the Atlantic Provinces, Quebec and Ontario playing house concerts, night clubs, showcases and festival stages for the last 4 years. This dynamic and diverse Blues/Rock duo packs a punch! 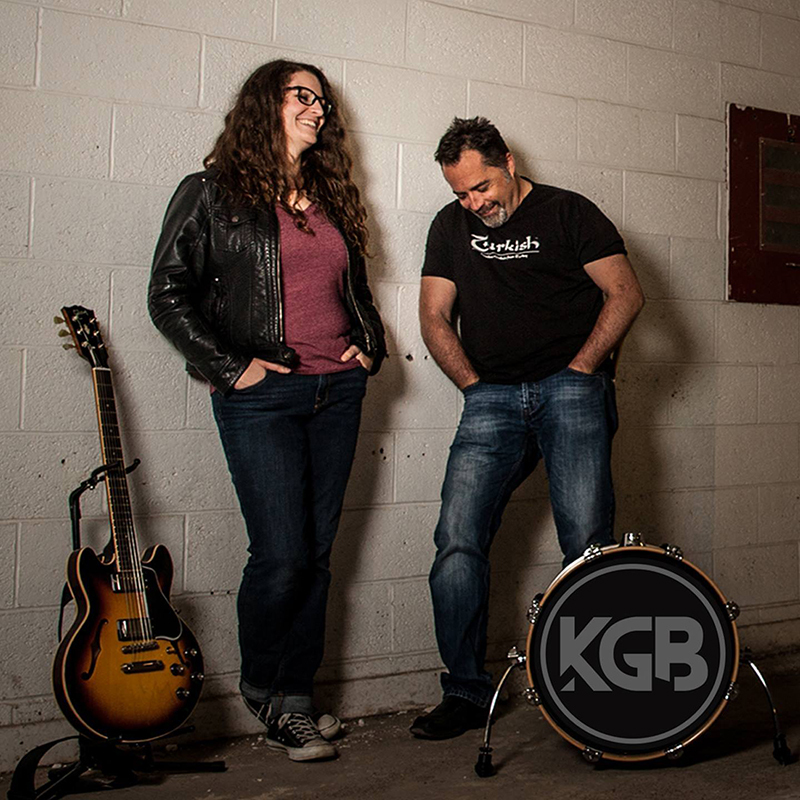 Kendra Gale’s full and powerful vocals and riffy guitar style is driven by Warren Beatteay’s hard hitting, groove based drums that combine to project a full sound while playing their own style of Rockin’ music. It’s a sound that’s gained them no shortage of fans and accolades across the province and country, including two nominations for ECMA Blues Album of the Year, and a CBC Galaxie Rising Star Award at the Harvest Jazz and Blues Festival. St. Andrews born and raised, Kendra’s genius lies in the way she can stand her own whether she’s leading a small jam circle or taking charge onstage at a packed venue. Her powerful pipes and unique style make every song she belts out her own, from covering fellow female rock leads like Grace Potter or pop stars like Rihanna and Britney Spears . But her stand out performances are always the ones she crafts herself, drawing so deep into her personal experiences that you can’t help but feel them in your bones. Kendra’s artistic talents don’t end with her music. She is the creative force behind many aspects of the band, including the stop motion claymation zombie themed video to the song By Your Side from the album Carousel. Her passion, creativity and incredible voice make her a must see performer no matter where she goes. Warren Beatteay, who often refers to himself as “The Band” in this dynamic duo, is no stranger to the stage. Whether behind a drum set or backstage, he has been part of the scene in the Saint John area and the Maritimes for over 25 years. Predominantly playing in well known cover based bands throughout his drumming career, Warren has also been lucky to play with original based projects such as the Steve McQueen Band, Steve Zaat, Zany Lane and continues to work with the blues/rock based group the Generators. He has also had the privilege of subbing in for other well known blues or rock bands over the years. With a love of funk, R&B, rock and blues, his musical influences and drumming style seems to fit effortlessly with Kendra’s original ideas bringing an additional edge to her material. “Kicking and Screaming” is not only the 3rd Kendra Gale Band CD, but it marks the first project the two have played on together. All 16 original tracks were recorded live off the floor at Lakewind Sound Studios in Sydney Cape Breton with very little in the way of overdubs or effects. Kendra and Warren wanted to do their best to capture what fans will experience when they perform live. They hope you enjoy it!